New version V4.6.0 is coming! We added two systems: new feature The Luminaries and new Companions system! The Luminaries will bring you a different play mode and you can get massive rewards with challenging The Luminaries. New Companions system will bring you a large amount of BR! 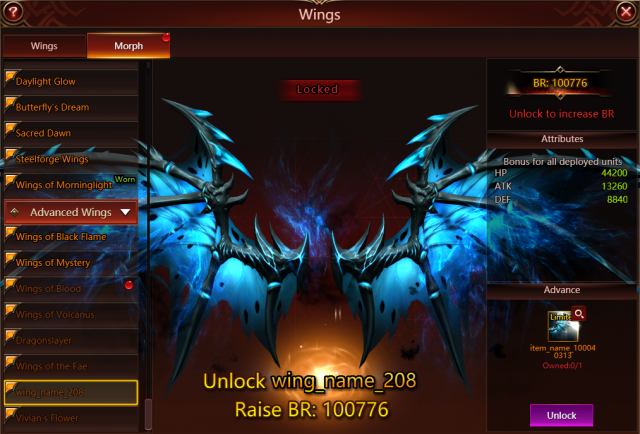 We added New wings! 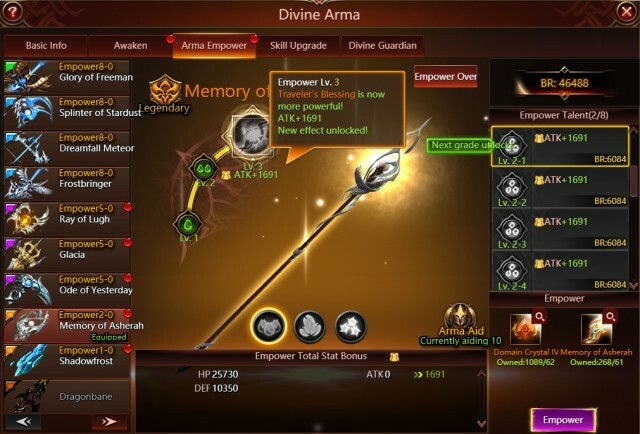 Arma Empower system improvement and fixed the vision bug in Guild War. - PST Servers: 11:35 PM 2nd Apr. - EST Servers: 2:35 AM 2nd Apr. - EU Servers: 06:35 AM 2nd Apr. - HKT Servers: 14:35 PM 2nd Apr. The Luminaries contain two maps, you can attack the Shrine of the Moon every Tuesday, Thursday and Saturday and defend the Temple of the Sun every Monday, Wednesday and Friday. You could claim a large amount of rewards and resources in Advancement Reward after challenging The Luminaries. Come to get the top rank rate and show your BR in Rankings! We added FOUR different Companions in game right now, they are Snow Leopard (will get it FREE in Tutorial), Astral Stag, Two-Tailed Fox and Lava Golem. Players could get Companions Shard by challenging the Luminaries，directly purchase them in the Luminaries Shop and in the upcoming Events. Companions can increase BR a lot! 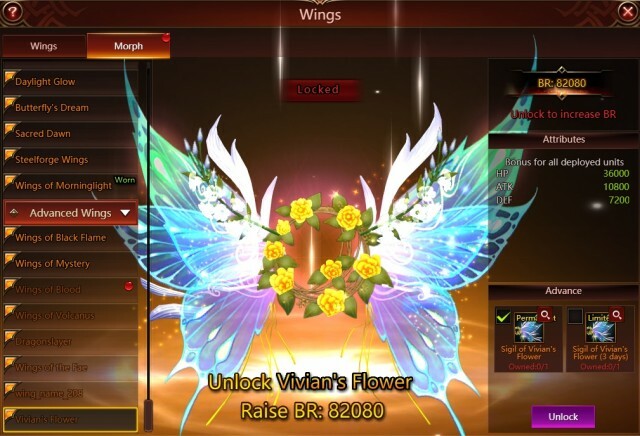 We added two new wings in this update, Vivian’s Flower increase over 80K BR and wings of Evernight increase over 100K BR (wings of Evernight can only get in X-Server Hero League). We optimized the original Eight segments of Arma Empower now into a few small stages, making you more easily to empower your Divine Arma. --Fix rewards display bugs in Guild War system.